It has been a long time since I last saw a musical so I grabbed the opportunity when I was invited by my friend Toots. 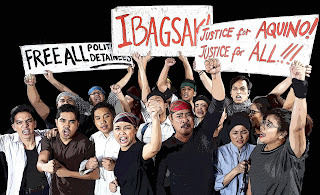 Believe it or not, it was also my first time to watch at the Meralco Theater so I was truly excited. 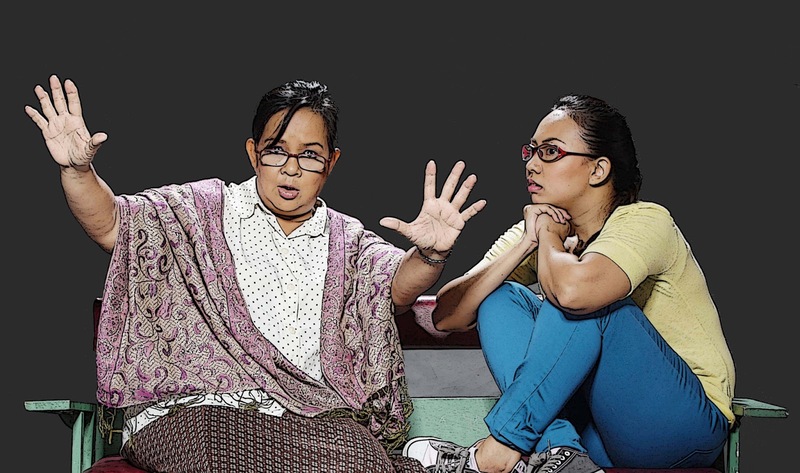 It was just a few days before Ninoy Aquino day so this musical was dedicated to his 30th death anniversary. 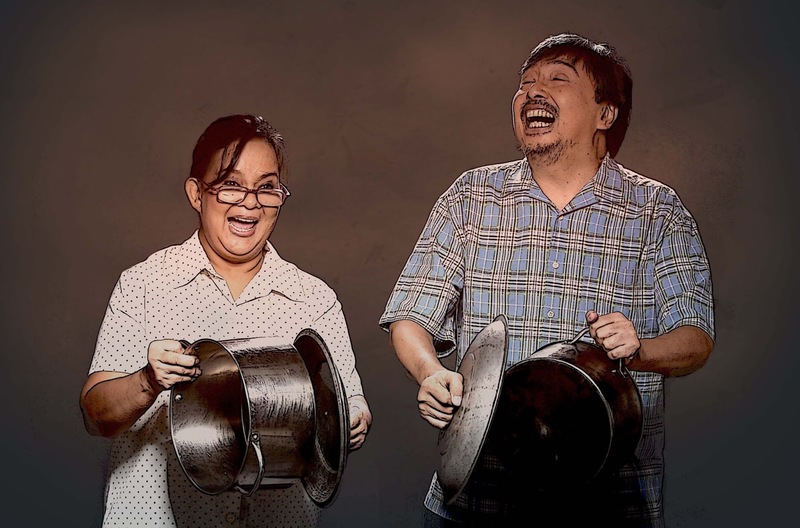 Veteran actors Bodjie Santos and Malou de Guzman delivered powerful performances in the roles given to them. They were very convincing in everything they did and they made the audience stay glued to their performance. The Philippine Educational Theater Association delighted the crowd with their singing. 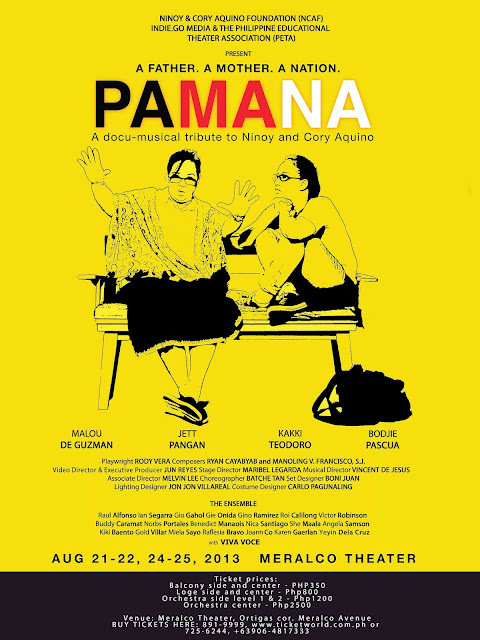 It was indeed a musical we won't soon forget as Pamana succeeded in combining video footage of past events and live performances. The best part of the musical was when Kakki and Jett were in each other's throats since Kakki's character did not want to come with Jett's character to Switzerland. She wanted to stay in the country despite everything that has happened so far. This truly demonstrates you should not give up on your country if you truly love it. I will never forget the hilarious Skype conversations with Kakki and Jett as Jett tries to convince Kakki that he is indeed coming back. 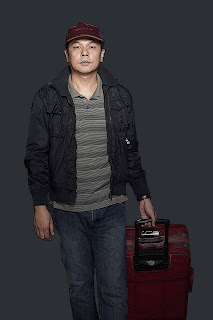 When he does come back though, his mother played by Malou de Guzman is suffering a disease. Good news to Aldous at the World readers! We are offering an exclusive promotion for TribCo. 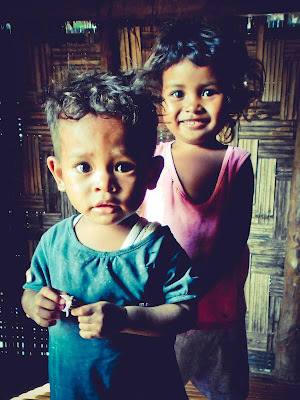 Kultura Kamp's Manabayukan trip on September 28-29. For every group of 5 people that book, the 6th one can get in for FREE. That is a total of P3780 savings. The best part here is that strangers can also merge in order to get a good deal. For more information on booking visit their website here. For those ready for a simple adventure, the Manabayukan area is located by a riverside, a walk away through a scenic flatland route, with the mountains in view. Campers can easily appreciate the natural beauty of this location, not to mention the opportunity to swim in the river. Relax as you lie on the riverbed and the current hits you, washing coolly over your back! At the riverside, campers can also try their hand at fishing, one of the local livelihoods. In this area, campers can experience the local way of planting banana plants and clearing out weeds in the day, or resting in the peaceful shade of the plants. At the bonfire at night, campers can share stories and dance with the people of Manabayukan, who are a resourceful and cheerful folk. For the adventurer looking for a different kind of camping experience can leap right into the warm and welcoming environment of Manabayukan! 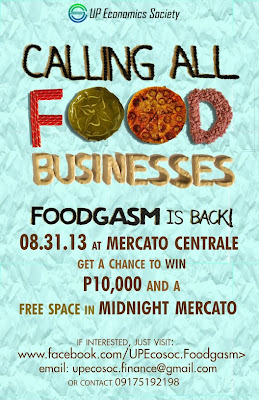 UP Economics Society presents the third Foodgasm at the Mercato Central this coming August 31. Everyone has a chance to become a food critic and businesses also have a chance to showcase their dishes to the adoring public. 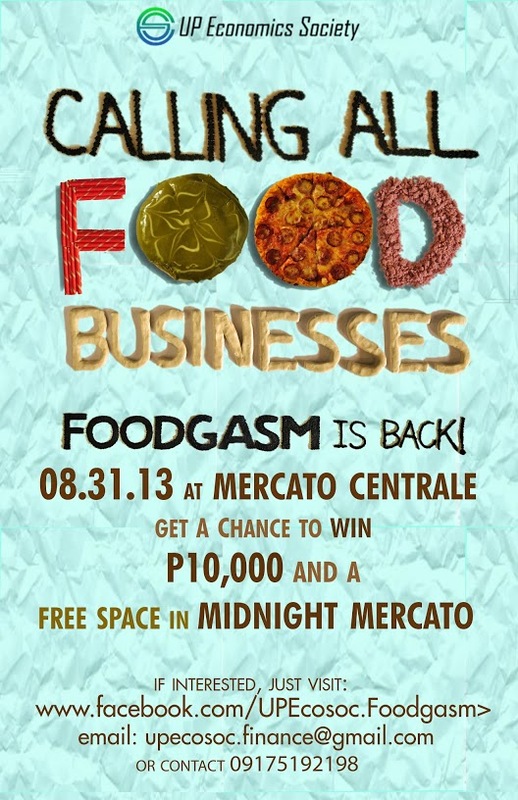 Everyone wants to start their own business and what better way to start than getting free space at Midnight Mercato? That is exactly what you would be getting if your food business wins Foodgasm. It is going to be hard though because you are up against a lot of food vendors who have the same mission. All food bloggers have a chance to become a judge for the night. Join me as we sample and grade some delectable goodies. 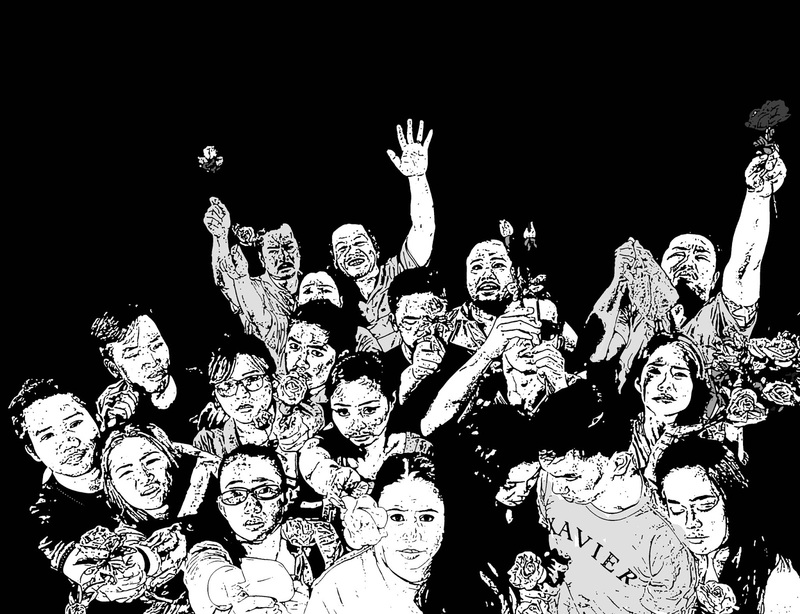 Wazzup Pilipinas really nailed it with this event at the Manila Diamond hotel. I still can't believe I got to dine at one of the most raved 5 star hotel buffets in Manila, Corniche along with blogger friends. PR Manager Twinkle Lacsamana introduced us to the lovely food as there seem to be many sections in the buffet. There was the Persian section, Grilling station, Filipino station, Italian station, Dimsum station, Appetizer section and probably more sections that I missed. It was one of those huge buffets where it was impossible to taste everything that was there. I am someone who would skip the appetizer in order to get to the main course right away so I would always ignore the salad station. This night was different though as I found out they have some fine greens. Steak Spree Thursdays is no doubt one buffet meat lovers myself would love. It is one of those buffets that would make me wish I had two tummies to fill. 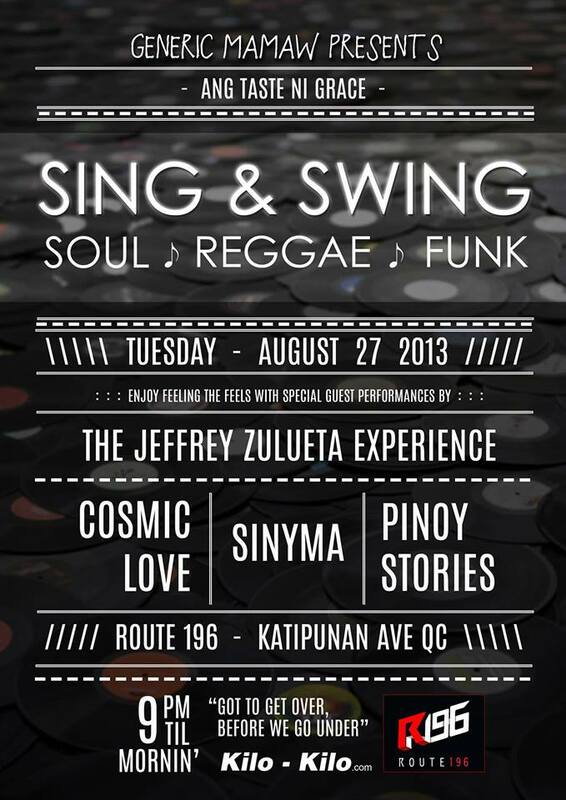 Add that to the fact that the entire buffet only costs P2335 nett per person. I dedicated my 2nd round to the Japanese section. I went after the shrimp tempura, pancake and different types of sushi. Of course, the Jap section is expected to be always full of people and this night was no different. For dessert, I had them create me a mango crepe with mocha ice cream. It was really sweet and delicious. In all the buffets I have been to, it would never be complete without an ice cream crepe. I also tried to be creative by mixing it with the chocolate fountain and putting some leche flan bits in it. For the weight watchers, there were a ton of sugarfree desserts here. Unfortunately, I forgot to watch my weight on this day as I went after the desserts that had full sugar in them. Maybe I can plan a diet next time. For the first time in any buffet, I saw a Create Pad Thai section. Because of that, I quickly had my pad thai made even if all the other bloggers were still taking pictures. They could tell I was too excited to eat here. I have to admit I was already half full when the steaks came out. I barely got to enjoy the steaks even if they were the highlights of this buffet. I did manage to get a few bites of all of them and they were really good. Since I am a big fan of fresh juices, I had a couple of fresh orange juice for drinks. It was indeed the perfect drink to compliment this buffet. The night would not be complete without some selfies with Hana, Kaye, Sumi and Twinkle. 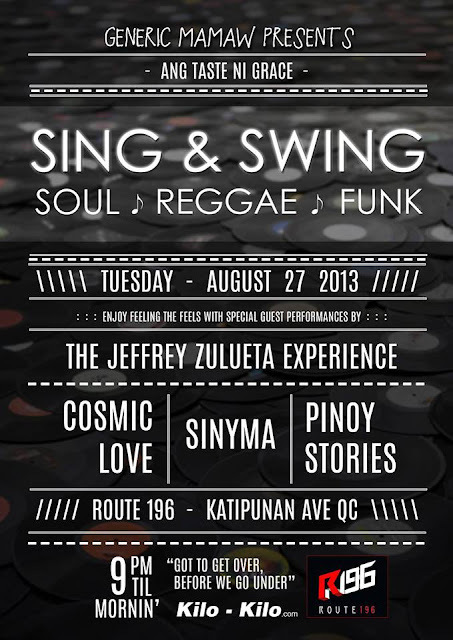 It was indeed one of my favorite events of the year and all of us went home with a full tummy.